Students can transfer their associate’s degree to universities across the USA and complete the final two years to earn a bachelor’s degree. These students are “fast tracking” their education, saving time and financial resources through this program as associate degree tuition is typically much less expensive than university tuition. “I can combine college courses with my high school diploma at an inexpensive cost compared to completing high school in Indonesia. I intend to transfer to the University of Washington Foster School of Business,” explains Helena Huray, an international business student studying at Seattle Colleges. Dual enrollment, which is when a student earns both high school and college credit for the same course, is not unique to schools in Washington State. Nationwide, it's believed that more than a million high school students are taking at least one college class. 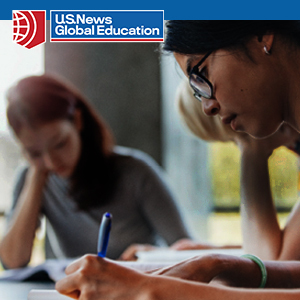 American and international students who take advantage of these types of “dual enrollment” programs are able to explore a wide range of courses at the community college and complete many, if not all, of the “general education” requirements that are required for a bachelor’s degree. Research shows, in fact, that students who take dual enrollment classes obtain higher grades after they transfer to universities to complete their bachelor’s degree than students who didn’t have this rigorous, academically challenging and confidence-building experience. Classes in college are different than in high school. A college-level class often has stricter requirements, both in participation and quality of work expected of students. A community college course generally also includes greater diversity such as classmates of varying ages and backgrounds. However, many states in the USA do not enroll international students in these dual enrollment programs. They are available in Washington State. Each of the Washington State community colleges, which offers the program, have slightly different models in how they run their high school completion programs. At some community colleges, students submit their transcript from their high school and then register at the college for the necessary classes to meet Washington State high school graduation requirements. Some of the classes taken at the college for the high school diploma might also meet requirements for their associate degree, but some of the classes might not. After the student receives the high school diploma, they can continue at the community college and complete the associate’s degree or transfer to another higher education institution. The associate degree level college credits earned while completing the high school diploma will generally transfer with them. Other community colleges in Washington State enroll 11th grade students in the associate degree directly (Year 1 and 2 of the bachelor’s degree) and students earn credit that will count toward the high school requirements as well. Upon completing their associate’s degree, these students also receive a high school diploma. They can then transfer to hundreds of different universities to begin the third year of their bachelor’s degree. In some cases, a 16-year-old student with high English and math skills can enter a community college and earn both an associate’s degree and high school diploma by the time he or she is 17- or 18-years-old. And, if these students transfer, they will have a bachelor’s degree by the time they are 19- or 20-years-old! Not all community colleges offer the program, and the colleges who do offer it have various admissions standards, policies and guidelines. In order to begin associate degree classes as a high school completion student, the applicant needs to demonstrate college level English and math proficiency. If they don’t have this proficiency, most of the colleges will provide English as a Second Language instruction and developmental math courses (typically these “pre-college” courses do not earn college credit). Most colleges admit students who are at least 16-years-old and after they have completed the first semester or entire year of 10th grade with a high grade point average (GPA). It is also important to note that colleges and universities differ widely in which transfer credits they will accept. It's important to contact the admissions department of your first-choice school to be sure of its policies. At the Seattle Colleges (North Seattle, Seattle Central and South Seattle College), this program has been running for over 20 years, hosting nearly 20,000 international and American high school students. High School Completion Plus is extremely popular all over the world, but the majority of students have come from Vietnam, Indonesia, China and Hong Kong. The State of Washington has a few specific requirements that these students must complete along with their associate’s degree to earn the diploma. These requirements include taking the ACT (test), specific history courses that are included in the college degree and some projects. All of these can easily be completed within the two-year associate degree time period. The program is best known for its slogan: “Save time, Save Money.” This represents both the two years of high school that students do not have to complete before entering higher education—as well as the significant financial savings of high school and college tuition in choosing to join this program. Dr. Andrea Insley, Associate Vice Chancellor of Global Initiatives, has worked with international students for approximately 30 years at the Seattle Colleges, located in Seattle, Washington. The Seattle Colleges includes North Seattle College, Seattle Central College and South Seattle College. Most U.S. apartments come unfurnished. CORT can provide rental furniture and everything else you need. And we can deliver it before you arrive! 90% of TOEFL® test takers get into their 1st or 2nd choice university. Learn more about the TOEFL® Test Advantage. Need a loan? 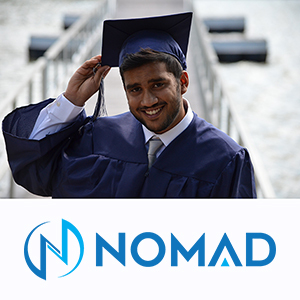 Nomad Credit will personally help you search for education loan options. Placing more international students in high quality, safe and well managed homestays than any other similar program. Accommodation, food, internet and utilities are included. UMED knows and understands what international students need when traveling to the United States.